Miniature orchids are hands-down cool. Pop your adorable, magical mini orchid into a teardrop terrarium and you have just entered "very cool" territory. 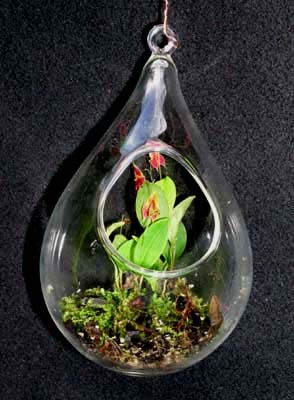 Orquivalle.com can get you started with both your teardrop terrarium and a wee orchid of your own. You must supply the orchid know-how my friend, and then let me know-how too.